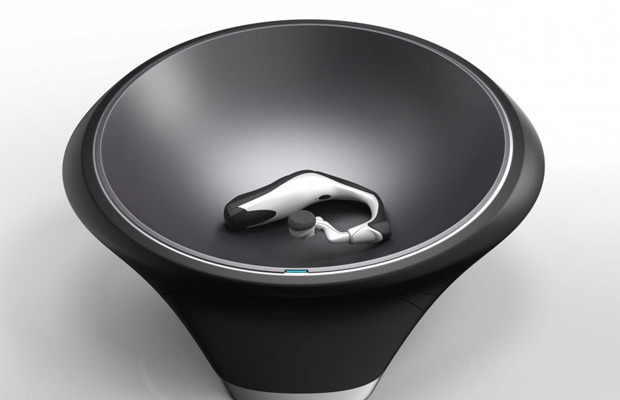 The charging bowl was among a handful of ideas Krzanich introduced at the International Consumer Electronics Show in January. He said it’s the concept that received the most interest since the show, with people continually emailing the company and asking when it will become available. During a speech Thursday at the MakerCon conference in New York, he confirmed the device should be coming out by the holiday season, though he didn’t mention a price. CNET reported in June that one of Intel’s chip customers will be making a real version of the charging bowl this year. 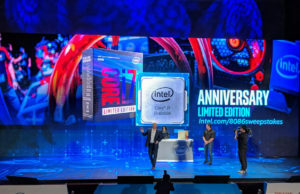 During his CES speech, Krzanich outlined a roadmap of products Intel was working on, with several of them now polished, unveiled and ready to hit the market. 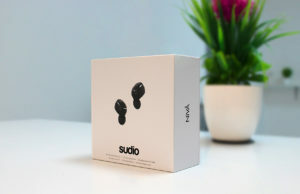 He spoke about “smart earbuds,” which are now the BioSport In-Ear Headphones, developed with rapper 50 Cent’s SMS Audio. He also discussed a partnership with fashion house Opening Ceremony to create a wearable, which became the MICA, its first luxury smart bracelet. The charging bowl could be next. 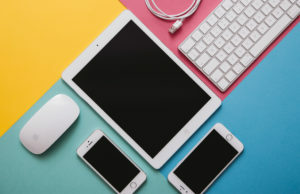 The company, which is primarily known as a PC chipmaker, has been working to expand out into new markets, hoping to capture some of the growth in the newer wearables and mobile markets and diversify from its core businesses. Some efforts haven’t fared well so far, with Intel losing billions of dollars trying to break into the mobile space. Krzanich said Thursday the origins of the charging bowl was a “classic” maker — or tinkerer — story. He said a handful of Intel workers were sitting around a table talking about wearable technology, expressing frustration that they had to create a plug somewhere on a device so it could be charged. That problem led them to start wondering if they could somehow charge a wearable from the outside or even just throw it on something. That idea is similar to the Duracell Powermat, which allows users to wirelessly charge their smartphones on a flat pad. Krzanich said a woman in the group said she throws her jewelry in a bowl at the end of the day. That concept caught on with the group and led to a visit to a nearby Walmart, where they bought a chips bowl that they jury-rigged to make into a charger. “To our surprise, it actually worked,” he said Thursday.